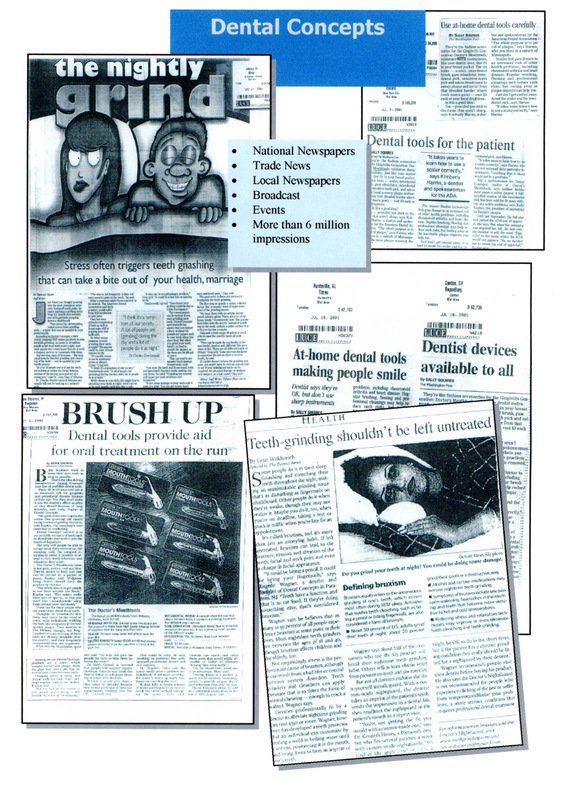 Dental Concepts developed a consumer line of dental tools that promoted excellent oral care. 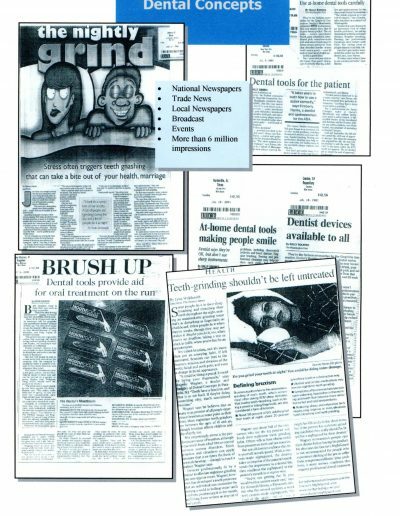 The company’s signature product, the Doctor’s NightGuard, resulted in hundreds of articles, including a large feature on night-time bruxism (teeth grinding) which appeared in the New York Post. Additionally, they invented a sports mouth guard for young athletes that positioned the lower jaw in such a way it reduced the chance of a certain types of concussions. Among the products that Burchfield & Wolin promoted for them were their popular product BrushPiks, OralCare Tools & the mouth guard. Among our greatest national exposure, was a Washington Post article that was syndicated and appeared in newspapers throughout the country. We were responsible for having BrushPiks featured in O Magazine as one of Oprah’s Favorite things, which resulted in a run of national publicity. Their XLR8 (Accelerate) Sports mouth guard for youth received in more than 2,000 articles in suburban newspapers as well as national stories on the dangers of concussions and mouth guards. The company was ultimately acquired by an investment firm.